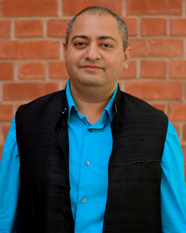 Dr. Ashish Dubey is a faculty member in the Marketing Area of IIM Lucknow. He has 10+ years of Academic, Industry, and Research experience in the fields of Retail Management, Marketing, and Supply Chain Management. Consultant (Business Advisor) to M H Alshaya Co. WLL, Kuwait for one year (on leave from IIML from May 2013 to April 2014). Advisor on some of their key Retail Initiatives in the area of Retail Management. Worked as Business Solutions Manager with M. H. Alshaya Co. W.L.L., Kuwait – one of the leading franchisee retailers of MENA region, Russia and Eastern Europe. He has lived and worked in different states and cultures across India and Middle East. Authors: Ashish Dubey & Satish S.M. Case Studies on Atul Ltd. – prepared under Seed Money Project (Research Grant) scheme of IIM Lucknow. Ashish Dubey and Karuna Jain (2005). “Role of formal and informal mechanisms in supply chain governance - an empirical study”. 6th International Conference on Quantitative Management (ICOQM), IIM Indore. Karuna Jain and Ashish Dubey (2004). “Role of IT as an enabler of collaborative supply chain governance and its impact on SC performance – a conceptual framework.” 5th ICOQM Conference, Seoul. Ashish Dubey and Karuna Jain (2004).”A conceptual framework of inter organizational relationships in supply chains.” Second International Conference on Logistics and Supply Chain Management jointly organized by PSGTech College, Coimbatore and Centre for Supply Chain Management, Central Michigan University. Ashish Dubey and Karuna Jain (2003). “A conceptual model of inter-organizational relationships in supply chains.” 7th International Conference of Society of Operations Management, IIM Indore. Ashish Dubey (2003). “Relationship marketing: old wine in a new bottle?” 1st AIMS International Conference, IIM Bangalore. Ashish Dubey, Sonjaya S. Gaur, and Ashish Sadh (2002). “Brand architecture for firms offering high tech products and services: an exploratory study”. International Conference on Marketing of Technology Oriented Products and Services (MTOPS), jointly organized by IIM Bangalore, Academy of Marketing Sciences, USA and Dupree College of Management, GeorgiaTech. Satish, S. M., Dubey, A. and Sandhya, A. S. (2012). “Diversity of Information Disclosure in Newspaper Advertising”, Shaping the future of Research in Emerging Economies Looking Ahead - International Marketing Conference, IIM Lucknow.